Plymouth Municipal Airport is a public airport owned by the town of Plymouth, Massachusetts. This airport averages about 300 flights a day. 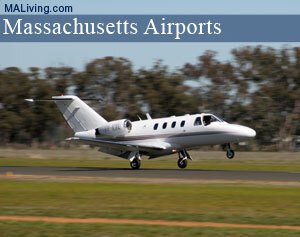 Browse the information below for more details on this New England airport. MA Living suggests you call to confirm the information before scheduling your flight. ACTVT MIRL RYS 06/24; 15/33; MALSF RY 06 & REIL RY 24 – 122.900. APCH/DEP SVC PRVDD BY BOSTON ARTCC ON FREQS 128.75/290.3 (BARNSTABLE RCAG) WHEN CAPE APCH CTL CLSD.